My mom is visiting for the holiday season, and I’m so excited to have her here. I got a few days off work so I can thoroughly enjoy her visit. Also, yesterday I had a great meeting with the coordinator for an organization I’m connecting with. I’m so excited to work with them and everything is now set and ready to go. More details soon. 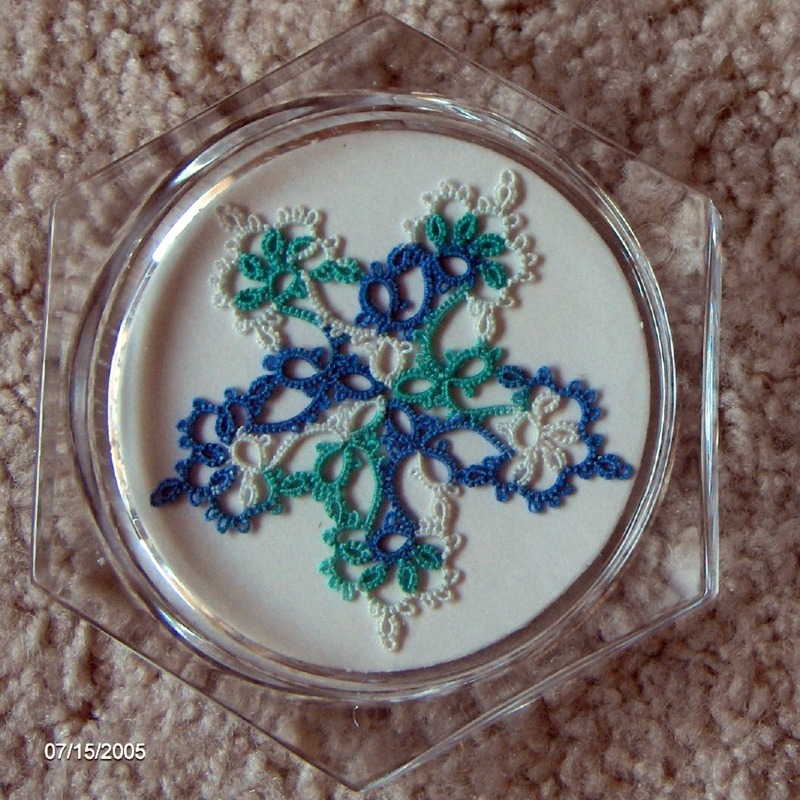 These cute tassel angels are from a pattern in the Big Book of Tatting by Darlene Polachic. The thread is chunky Aunt Lydia’s in size 10; the same ball that I’m still trying to use up 10 years later. Why did I buy in bulk? 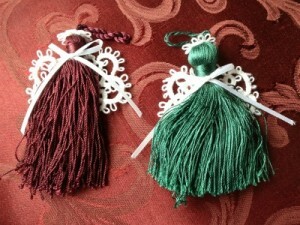 You make the wings and halo separately, then glue them onto a small tassel and add a bow. 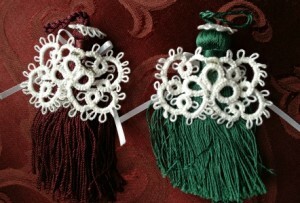 The tassels already have a loop on the top so they are ready to hang on your tree, on a present, etc. 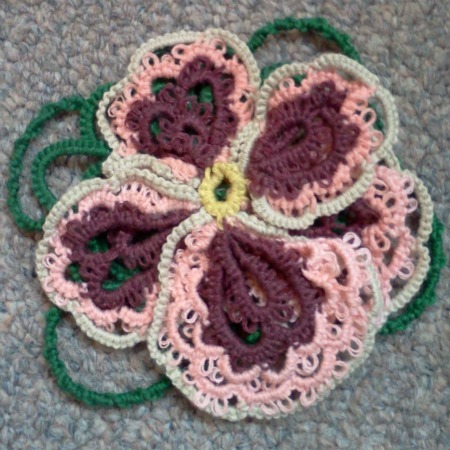 These angels are my motif number 8 in the 25 Motif Challenge.